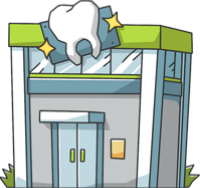 These are the most common insurances accepted by Dentists in Anaheim, CA. Had a pleasurable visit. staff and doctor are polite and courteous and kept pain to a minimal..
Dr. Yau takes the time to explain your treatment plan from start to finish. She is careful to make sure you are comfortable and that you understand each step of the process. Staff is friendly and very helpful as well.. Awesome Staff and Amazing Doctor! No pain! Highly recommend this place to all..
I’m a very long time dental patient with Dr. Ohanesian. His great dental expertise comes from many years of dental practice, and dedication to his dental profession and care for his patients. Dr. Ohanesian’s staff is also very friendly and very knowledgeable – everyone is highly recommended (ask for Marcie). Regards, Jerry S - Anaheim Hills. Our family has been with Dr. Ohanesian for many years. The office is clean, staff is friendly and caring and Dr Ohanesian is a great dentist and honest. I never feel like they are overselling services for greater profit..